After completing undergraduate studies in political science and economics at the University of Western Ontario, Russell earned his law degree from Queens University in 2004. Since his call to the bar in 2005, Russell has practiced exclusively in the area of personal injury litigation. He has appeared as lead counsel on trials, appeals and motions before the Ontario Superior Court of Justice and Ontario Divisional Court, and has appeared before numerous administrative tribunals. Russell’s personal injury practice includes motor vehicle accidents, slip and fall claims, long term disability claims, Canada Pension Plan Disability claims, and other negligent causes of injury. Russell is a member of the Canadian Bar Association, the Ontario Bar Association and the Ontario Trial Lawyers Association. 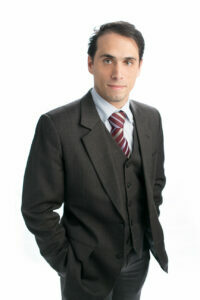 He has written papers and presented as a guest speaker at conferences held by the Ontario Trial Lawyers Association.